Reactions range from fury to encouragement as MKs weigh the possibilities of a government without Yisrael Beytenu. Foreign Minister and Yisrael Beytenu chairman Avigdor Liberman's public announcement to quit his role and move into the opposition has sparked a variety of reactions on Monday night, ahead of the prospect of a 61-MK government. "He is the last person who can preach opportunism," a senior Likud official told Walla! News on Monday. "This is a cynical politician, a great opportunist, who planned a putsch against Prime Minister Binyamin Netanyahu in the previous government, and aspired to be a compromise candidate for prime minister after the election." Another Likud official accused Liberman of revenge tactics, after the 2015 elections saw the party's influence cut in half. "So he is now trying to plunge the political system into a left-wing government headed by [Labor leader Yitzhak] Herzog, while in acting service of foreign interests in the country and abroad, and in stark contrast to the promises given to voters support the establishment of a national government," the Likud official added. 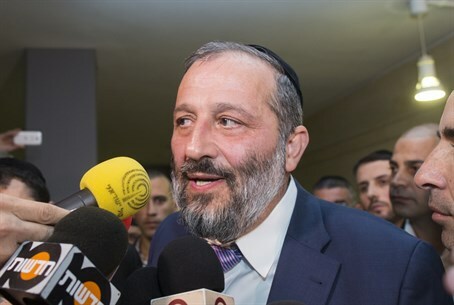 "Sometimes a small and homogeneous coalition is for the greater good," Shas chairman Aryeh Deri said, adding that Shas is still interested in a broad government in principle. He called on Herzog to join the government to prevent instability and so that Shas and Labor could "cooperate very seriously on social issues." Yair Lapid's Yesh Atid party welcomed the move, however. "We welcome the decision not to join the coalition clearance sale of Netanyahu," the party stated. "The Prime Minister chose to form a coalition whose sole purpose is to plunge Israel back and undo all the important processes we have achieved in the previous government -including allocating large budgets for welfare, health and education, the Conversion law, the Equal Burden of Service Law, the Core Curriculum, reducing the size of the government, and more." The party also praised Liberman for keeping to his principles. Meretz chairwoman Zehava Galon encouraged further steps to break up the potential for a coalition, which must be formed by Wednesday. Galon called on Kulanu to back out of the coalition agreement already signed, as chairman Moshe Kahlon had stated that he would not sit in a government of just 61 MKs. "I call on Kulanu party chairman, Moshe Kahlon, to keep his word and not join a narrow government of 61 MKs, a narrow blackmail government which relies on the extreme right and who will dictate the way there will be a resurrection of the partisan politics of [Jewish Home MKs] Uri Ariel and Bezalel Smotrich," she said. "It is ironic that Netanyahu and Liberman, who raised the [Knesset] threshold for the purposes of governmental stability, find themselves with a very unstable government of 61 MKs." Kahlon himself expressed distress over the announcement. "Today, unfortunately, we learned that we are apparently going to a government of 61. I said it before and I say it again today: a government of 61 is not a good government," he stated. Kahlon is convinced that the government will - in some way or another - expand beyond that margin. "I am, personally, after signing the agreement, suffering a bit from my hands being tied, but I will be discussing the issue with the Prime Minister and I have no doubt that he will work to expand the government, either by reaching out to other parties or by convincing Liberman to come back."